The cashier thought I was being a jerk for paying for my $3 bill in pennies. She soon found out, when tears swelled my eyes, I wasn’t being a jerk. I was just broke. So broke, in fact, I was praying my car wasn’t going to die right then and there since it had been running on fumes all week because I couldn’t afford gas. Long story short: My dad cut me off suddenly, and I fell flat on my face. Even though I had worked for around five years prior to that, I had absolutely nothing saved. I spent every dime that I made, down to the last penny. And so, I was forced to drop out of school and back into my dad’s spare bedroom, like so many other millennials have done. 75 percent of parents still help their adult children financially, and half of all millennials still live with their parents. My lovely McBreakdown happened seven years ago. And I’ve learned a lot since then. You’re never too young to begin building the habits that will dictate your financial future. I don’t know about you, but I want to live my life by my own rules — not my father’s or anyone else’s for that matter. The second lesson is the power of savings. Fortunately my story has a happy ending. Not every young professional, however, is quite so lucky. If you want to insure the same for yourself, keep reading. In this post, you’ll not only learn why to save, but also how to avoid the most common financial mistakes people make when it comes to building wealth. Why save money? Here’s 6 reasons. A whopping 30 percent of Americans are financially stressed all the time. There’s two big reasons for this. 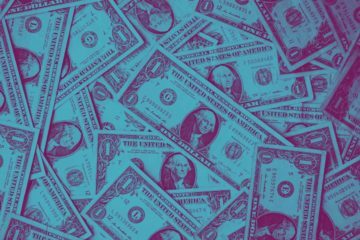 First, 66 percent of adults, including 71 percent of millennials, report it’s because they don’t have a three-month emergency fund. And 46 percent say it’s because they don’t have any savings set aside to cover an unexpected expense like a job loss or medical problem. That means the more you have saved, the more secure you’ll feel if/when unexpected expenses or bad turns (think job loss) arise. If you want to retire someday, the time to start saving was yesterday. According to CNBC, even $1 million isn’t enough to retire today. The only way to combat this problem is to earn more or spend less. Treating yourself may sound overly self-indulgent, but to keep on keeping on, from time to time, you must treat yourself. When you treat yourself, you’ll feel more energized, content and cared for, which boosts our motivation and helps us maintain healthy habits. Think about it: If you give more to yourself, then you can ask more of yourself. It’s not that surprising to learn that oodles of debt puts a major strain on your life, but did you know that owing money is ranked as one of the most stress-inducing events in a person’s life? “Getting into debt beyond means of repayment” is ranked No. 5 on the Society of Occupational Medicine’s 2001 “Life Events Inventory,” which ranks the psychosocial stress of 100 life events. According to this list, owing money is more stressful than learning your significant other cheated on you. Not only will paying off debts make your body literally feel better, but it will also result in better emotional health, increased confidence, less stress, and freedom to pursue other life goals. One way to double your money is to invest it in the right accounts and let it accumulate interest over time. Interest is basically a reward for lending money. You can collect interest if you have money in certain bank accounts because the money you leave in your account is then available for the bank to use to lend money to other customers. Interest comes in two primary varieties: simple and compound. If you have $1,000 in an account that pays you 3% simple interest annually, you’ll collect $30 each year. 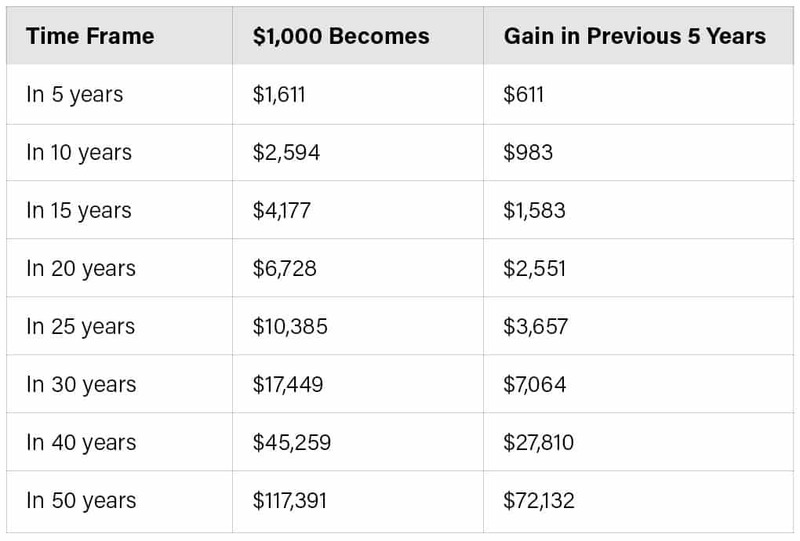 If the interest is compound, then you will get $30 in your first year, and if you have $1,030 in your account the next year, you’ll collect 3% of that, or $30.90. That’s compounding doing its thing. You need to be aware of how much you’re making, especially as a CUTCO sales rep with unlimited earning potential. Without any awareness, you can’t make any steps forward because there’s no clarity. Adam Stock of Rising Stock recommends setting a specific financial goal in order to start saving. Do you want a condo? A car? To send your kids to college? Whatever your goal is, make sure you list when you’re going to achieve it by. Stock says he sees young people eating out way too much and going to Starbucks. This is a three-step process recommended by Ramit Sethi of I Will Teach You to be Rich. Set up all of your bills to be paid the day you’re paid each month. Automatically deposit money into your 401k or Roth IRA. Automate your checking account by having your paycheck deposited into four different places: Roth IRA, savings account, credit card, and misc. bills. Get good at saving money. If you don’t want to end up like me in the beginning of this story, then I highly suggest heeding the advice I laid out in this post. Your financial future is in your hands today. Take action to set yourself up to be a financial outlier.